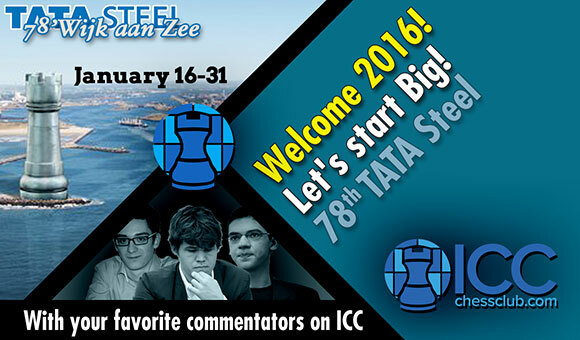 The 78th Tata Steel international tournament takes place from January 16th to 31st in Wjik aan Zee, the Netherlands. ICC will relay all the games and provide a video recap for each round. Magnus, Magnus, Magnus, Magnus, Magnus! Considering the last 60 days, Magnus Carlsen beats the rest of the World 3-0. After the London Chess Classic and the Qatar Masters, the Norwegian from Mars conquers his 5th Tata Steel Tournament, matching the great Anand's record, and showing once again who is the owner of the chess world. Going into the last round, Magnus was in the lead over Caruana by half a point and Ding by a full point. The most important game today was Carlsen vs. ding. the World Champion tried very hard to win it, playing over a rook and bishop vs. rook endgame. At last, after 99 moves, Carlsen had to accept the fact that Ding wasn't going to blunder - which is the only way to lose such an endgame - and stalemated the strong Chinese GM. Meanwhile Caruana was struggling against Evgeny Tomashevsky. One could even think that Magnus kept on playing his drawn endgame to put Fabiano under more pressure. 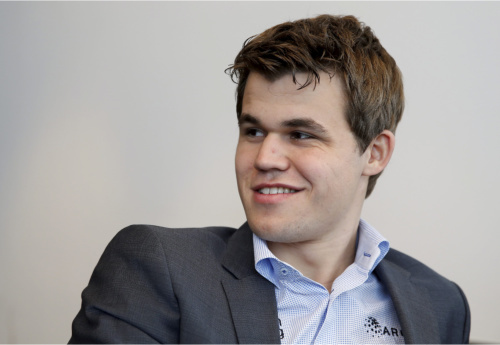 But in the post-game interview, Carlsen said that this was the first time he found himself playing the attacking side of such a rare endgame, and he wanted to try any and every possibility to win. This is Carlsen's style: never give up, even when it looks drawn. Caruana didn't play well, and ended losing his game, allowing Carlsen to win the tournament. 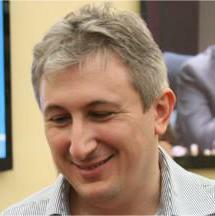 The other decisive game was the brilliant win by Pavel Eljanov over David Navara. 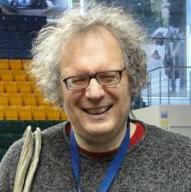 Eljanov played fighting chess during the whole event: he's the player with the most decisive results. Pavel shares 4th-6th with Wesley so and Anish Giri. Not a bad result at all for the strong Ukrainian GM. Giri vs. Hou deserves to be mentioned, among all the rest of the draws. It was a hard-fought game, where Giri missed a good chance to get the full point, but Hou once again showed she can compete with her elite male colleagues. The Tata Steel tournament is always interesting to follow, because some of the top guns get to play strong GMs who don't participate to super-elite events so often. In Group B Indian GM Baskaran Adhiban won on tiebreaks over GM Safarli and the veteran Russian GM Dreev. The Tata Steel 2016 started with three decisive games, and four draws. Carlsen played a solid game against Navara and drew. 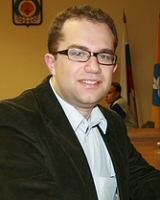 Caruana won his game against Eljanov. Eljanov is for sure one of the most interesting players among the participants, especially after his exploit at the World Cup last year. But Caruana has established himself as one of the strongest players in the world, and nobody can leave him the initiative hoping to get away with it. So won the match with Giri. It's good to see Wesley win an important game, against the hottest player of the moment. Wesley needs this, to get back in track and be able to show his immense talent. British GM Michael Adams, after the excellent performance at the London Chess Classic - where he finished unbeaten - could not resist the Chinese invasion, and lost to Ding. Ding is showing that he really belongs to the top zone of the list, with consistent good performances. The only female player of the Masters Group, Hou Yifan, drew with Karjakin. The wonder kid - don't take it bad, Magnus, but the 16-year-old Chinese deserves the "title" - Wey Yi drew with the strong Russian GM Evgeny Tomashevsky, and the veteran Loek Van Wely managed to draw with Mamedyarov. All in all, a good start for this year's opening super-tournament. All draws in round 2 at Wijk aan Zee. But it's not been a boring day. In particular three games were quite interesting. In a complicated line of the Dragon, Van Wely surprised his much higher rated opponent Karjakin by playing 15...Ng4 instead of the canonic 15...Nc4. After 16.Rhe1 Rc5, the game is very complicated. Karjakin thought for about 20 minutes to go through all the tactical variations, and eventually went for 17.f5, which leads to a drawish position with correct play. After three more moves Karjakin offered a draw in a position that he hated - according to the post-game interviews. Good game for the local hero, who succeeded in surviving against a player whose rating is more than 100 points higher than his. Another interesting game was Hou vs. So. After 22 moves Hou found herself having to deal with a "hole" in d4, ideal place for So's knight. She reacted to the danger in a rather passive way, but So wasn't able to take advantage of the situation, giving Hou a chance to equalize. the game then went on with some imprecisions, until it got into a drawn endgame, two bishops against two bishops. The most exciting game of the day was Carlsen vs. Caruana. Magnus started with 1.g3, to see Fabiano copy his first three moves. "Let me see what you've got", must have been Caruana's attitude. Magnus went on to play a novelty with 7.Q2. The game continued along very interesting strategic ideas, that our GM Max Dlugy illustrates in the video. With 7 draws, today's round doesn't change the standings: Caruana, So and Ding lead by half a point after two rounds. Winner of the GOTD TRIVIA is haggai -- Congratulations! Horrible blunders, missed opportunities and whatnot happened in the third round of the Tata Steel. Despite we had only two decisive games out of seven, today's was the most exciting round so far. Wei Yi and Carlsen played their first game ever, and obviously everyone wanted to see the former and current wunderkinds play each other. The game didn't provide much excitement though, and ended in a draw. Caruana and Adams was a long maneuvering game, with Caruana putting on the table more stamina, which allowed him to take home the full point. Very technical game in the Chinese derby, with Ding and Hou entering an early endgame, where not much happened. Mamedyarov played a very good game against Eljanov, reaching a winning position two pawns ahead, sailing happily towards the full point. Only, he forgot about his rook leaving it en-prise, blundering in a way you seldom see at this level. Mame resigned immediately after Eljanov - no doubt surprised about what he saw on the board - joyously munched the stranded tower. Navara vs. Giri was the most exciting game of the round. 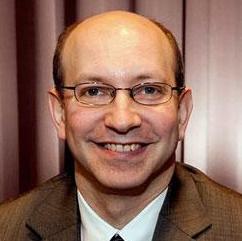 Navara played a fantastic sacrifice, making the game theoretically important. The opening was a Grunfeld, Russian variation. After 19 moves of theory, Navara invented the brilliant 20.f5! and sacrificed a rook the next move, to pry open Giri's kingside. The game exploded into a tactical mayhem. Giri was able to avoid immediate catastrophe, but Navara forced him into a lost position - at least according to the engines. Unfortunately for the Czech ace, he wasn't able to convert the advantage and faltered - probably worried about his clock - allowing Giri to draw and save the day. With today's win, Caruana is now in the sole lead; half a point behind So and Ding. A whole point behind the leader a pack of 8 players with 50%. Tata Steel is a very long tournament - 13 rounds - so nothing is decided yet. For sure, Fabiano is off with a great start, and we all know what he can do when he's able to pull a "Caruana" off the hat! Winner of the GOTD TRIVIA is Mommel - Congratulations! News Of the Day is that Hou Yifan, playing a fantastic game, with sacs and ruthless determination, defeated David Navara, to join the group at +1 with So, Ding, Karjakin and Eljanov. Carlsen drew his fourth game in a row. Today he faced Mamedyarov, who must have felt a bit Shaky (pun intended) after yesterday's horrible blunder. However, the game was pretty uneventful. Magnus and Mame followed the same opening played by Eljanov and Wei Yi earlier in the tournament. In that game Eljanov, with white, achieved nothing out of the opening, and the same thing happened in Carlsen's game. An odd choice by the World Champion. Wei Yi was a bit better for almost the whole game against Adams, mostly because of Adams' "odd" advanced pawn on the h file. Adams, as usual, defended tenaciously, and the game ended in a draw. Giri vs. Caruana was more interesting. Giri hasn't had a good start: he lost the first round and was totally lost in round 3 against Navara. On the other hand, Caruana started brilliantly, with 2.5/3. The game got very complicated right after the opening; Caruana reached a nice position, forcing Giri to sac an exchange. Giri had positional compensation, but eventually Caruana entered a won rook endgame. Unfortunately for Fabiano, he was down to less than 3 minutes on the clock, and could not find the winning plan. Eljanov won his second game in a row, after yesterday's "gift" by Mamedyarov. 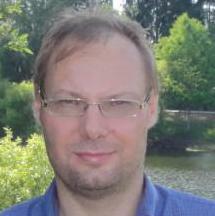 Today Pavel played Van Wely, who so far had had a good event, drawing the first three games. The players reached a position where all Loek had to do was wait, sit there and shuffle. The engines, at move 31, give a laconic 0.00, which means dead draw. But Van Wely, trying to get some initiative, blundered badly with 32...Rf2?, serving to his opponent the winning move on a silver platter. The strong Ukrainian GM didn't miss the chance and went on to win the game. Karjakin and Tomashevsky played an Italian game, that is quite out-of-fashion these days. Tomashevsky, oddly enough, played in a rather passive way, allowing the Russian to build up and reach a comfortable position, with a firm grasp on the center, ready to gain space and attack. Tomashevsky found himself short on ideas and moves - as he said in a post-game interview - and with Karjakin pressing hard, he resigned. After 4 rounds, Caruana at +2 still leads solo, with 3 points. Tomorrow is the first rest day of the event. Play resumes Thursday, at 7:30AM EST. Winner of the GOTD TRIVIA is PawnGrabber - Congratulations! Magnus broke the "you'll always draw" spell, and he did so in a spectacular way. Today we have seen fireworks on the board during his game vs. Van Wely. These days "romantic" chess has been replaced by computer-like precision, and we see games played by the top guys with many moves that an engine would play. Well, today Carlsen went to the opposite direction, creating a psychological masterpiece. At move 23, with 17 moves to go for the time control, Magnus saw that Loek's clock was down to 13 minutes, and decided to sac a knight. The sac was not sound, but one can be reasonably sure that Magnus knew it. Van Wely had to take, and from then on Magnus kept playing moves that contributed to increase the pressure upon his opponent. Magnus did not play the best moves - 27... Rx2 is a blunder, and white wins - but Loek wasn't able to see it, cracked down blundering away his winning advantage and after a few more moves, with his red-hot clock down to the increment, collapsed under Magnus' intimidating attack. A very inspiring game by the World Champion, that helps us think it's not only about computers nowadays. Hou Yifan continued with her great performance in Wjik, playing a good game against the leader Fabiano Caruana, and holding him to a draw, with some brilliant play in the rook endgame. After 5 rounds Yifan is at +1, sharing second place with So, Carlsen and Eljanov. The other Chines super-GM today beat Karjakin - showing an excellent endgame technique - putting an end to the good streak the Russian had against Chinese players. With today's win, Liren joins Caruana in the lead. Mamedyarov won with Adams, who seems to be in bad form, despite his good performance in London only a month ago. His endgame play was catastrophic, allowing Mame to win his first game in the tournament and join the group at 50%, with Karjakin and Wei. Tomorrow round 6 starts at 7:30AM EST - 13:30 CET. Winner of the GOTD TRIVIA is estralita - Congratulations! Today The World Champion didn't need his psychological tricks to win the game against Tomashevsky: Magnus used brute chess force to win. A fantastic attacking game, in which Carlsen was able to build up an attack in a few moves, leaving "the professor" helpless. 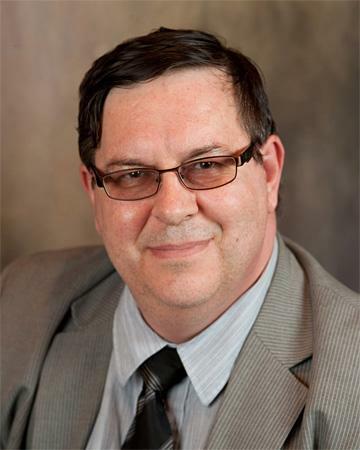 Tomashevsky apparently resigned a bit early, but his position must have disgusted him. Magnus, as we said after his 4 draws in the first 4 rounds, is the one who can pull a winning streak out of the hat. If he gets confident and in good form, there is nothing to do for anyone. He just plays in a different league. Hou Yifan drew her fellow Chinese wunderkind, to continue her amazingly good tournament. It is more or less crisis for the strong Azeri GM Mamedyarov, who today lost to Giri. Giri has not been playing at his best so far in Wjik aan Zee, but today he faced a passive Mamedyarov. After 6 rounds, there is a trio in the lead: Carlsen, Ding and Caruana, with 4 points. 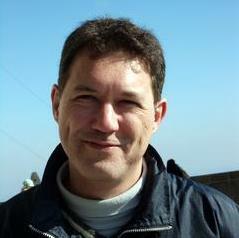 At 3.5 Hou, So and Eljanov. Giri, Wei and Karjakin follow at 3 points. There are 7 rounds to go, so any prevision would sound presumptuous, but after what Carlsen did in the last two games, it looks bleak for the rest of the players in the Tata Steel Masters tournament. Winner of the GOTD TRIVIA is CaseMoney - Congratulations! In Italian there is a saying, similar to the English "Troubles always come in three's", but with a slightly different meaning. It can be used to say that good things , when happen, always do so three times. And this is what Magnus Carlsen did today: he won his third game in a row. Eljanov confessed on Twitter and Facebook that he overestimated his position, and analysis of the game shows he was quite right. Carlsen doesn't allow anyone the slightest mistake, and he ran over the strong Pavel to climb at +3. Caruana played a very good game against Ding, and he's the only one who - at least for now - keeps the World Champion's pace. They share the lead now, a full point ahead of the chasing pack, with So, Giri and Ding. Hou Yifan - for whom we are shamelessly rooting - today lost her first game, to get back in the group of players at 50%. 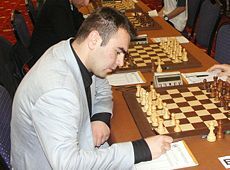 Mamedyarov played well, and Hou wasn't able to contrast the super Azeri, who with this win joins the 50% group as well. 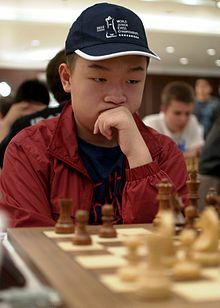 The young Chinese star Wei Yi drew his seventh game; there are two school of thoughts here: some say he's not ready to win at this level, others say his opponents play extremely solid to avoid his tactical skills. As usual, probably the truth lies somewhere in between. In any case, 50% for the 16-year-old genius with this field is not to be frowned upon. Giri, the third "candidate" playing in the Netherlands, won against Van Wely. Four decisive games have made this round one of the most exciting so far. Now it looks like a two-horse race, but this is a long event, and there are 6 rounds to go. Tomorrow it'll be very interesting: both Caruana and Carlsen play black, respectively against Navara and Karjakin. Play starts at 7:30AM EST - 13:30 CET. Winner of the GOTD TRIVIA is RonJB - Congratulations! Another eventful round at the Tata Steel tournament. Karjakin was able to stop the Carlsen locomotive, holding the World Champion to a draw. The most important result of the day was Fabiano's loss against Navara. David is a fantastic player when he's in the right mood - in a way he makes one think of the great Ivanchuk - and today Caruana didn't defend well in the rook endgame. Fabiano loses contact with Carlsen at the top, and now he's in second position, half a point behind. Ding Liren and Wei Yi played an incredible game. It may be all theory, nonetheless it was amazing to watch. The final position seems to belong to a different dimension. Ding accepted the three-fold repetition, when he actually could have tried something to win the game. Probably he didn't feel comfortable in a highly risky position, with tactics looming everywhere. Everyone knows how strong Wei's tactical skills are. Hou Yifan lost her second game in a row, today against Van Wely. She started the event superbly, but after yesterday's loss, today she didn't appear to be at her best. The standings are still "short", which makes the tournament exciting to follow, with 5 rounds to go and the leader ahead half a point. After Caruana at 5/8, Ding, So and Giri with 4.5, then Navara, Wei, Karjakin, Mamedyarov and Eljanov with 4, at 50%. Tomorrow is a rest day. Play resumes Tuesday, January the 26th at 7:30AM EST - 13:30 CET. Winner of the GOTD TRIVIA is Surlycurmudgeon -- Congratulations! Only two decisive games in round 9, but what a couple of masterpieces! Wei Yi, after 8 draws, finally came out of the shell, showing what he can do when all his amazing tactical skills get triggered. 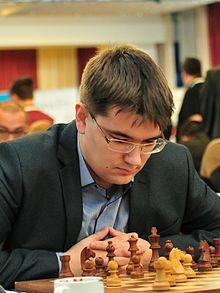 Today Navara, with his characteristic up-and-down performances, played a weird and rather passive game, allowing the Chinese wunderkind to set up a formidable attack. And Wei didn't miss the chance to show how devastating his attacking play can be. Magnus Carlsen played one of his best games today, against the strong English GM Michael Adams. Magnus came out of the opening with a very slight advantage, after playing the Italian game to avoid the Berlin defense. Then he went on to organize an attack with his passed pawns on the queenside, almost ignoring Adams' two passers on the king side. It was amazing to see how cool Carlsen was able to stay, whereas everyone else would have probably panicked with those two monsters menacing to checkmate his king. Kibitzers were analyzing Magnus' moves with the best engines, and there was an uproar when Magnus "missed" one best choice by the engine. Some even called that move (49. b4) a blunder, but it was so human that it almost moved the real chess lovers. Magnus had carefully calculated the rook sac, knowing he was going to unleash his passers with no chance for the Englishman to defend the position. A true masterpiece, that will make it onto a lot of chess publications. Caruana drew his game with the solid Karjakin, and now the gap between he and Magnus is a full point. The group in third, with +1, sees the new arrival Wei Yi, together with So, Giri and Ding. At 50% Karjakin, Eljanov and Mamedyarov. Tomorrow in round 10 Carlsen plays black against Giri, and Caruana has white against Wei Yi. Play starts at 7:30AM EST - 13:30 CET. Meanwhile in Gibraltar Nakamura, Vachier-Lagrave and Anand played the first round of the Chess Festival. It's a Swiss System tournament, so the first rounds are usually easier for the top guns. Hikaru disposed of IM Bellin and Maxime won with FM Shachar. Anand had to settle for a draw against IM Lazerne. Tomorrow round 2. Games start at 9AM EST - 15:00 CET. Winner of the GOTD TRIVIA is Aloxeo -- Congratulations! Caruana wins his game with the Chinese wunderkind and keeps the tournament alive. Fabiano chose the Ruy Lopez, and went for the old classic 9.c3 variation. Wei spent a lot of time, as if he didn't know how to deal with the variation. With Caruana blitzing out the moves, Wei got in a worse position, and lost is "c" pawn without compensation. From there on, Caruana played very well and won a nice game. This is the first loss for the young Chinese star. Magnus and Giri took a day off, playing an uneventful draw. This allowed Caruana to get closer to the leader: now Magnus leads with 7 points, followed by Fabiano only half a point behind. Too bad they have already played each other: a "match" at this point of the tournament would have been enthralling. Ding vs. Van Wely was a rollercoaster; probably the most exciting game in today's round. Van Wely outplayed the strong Chinese GM, and got in a winning position; then they went into a time scramble before time control and the fast moving led Ding to a slight advantage. At that point Loek did a great job not losing the game. A true fight over the board! Karjakin, playing Adams, ran into disaster after long castle; Adams won his first game in the tournament, and in good style too. Hou Yifan lost against Eljanov who's having an up-and-down event. After 10 rounds and with three rounds to go, Carlsen leads solo with 7 points, followed by Caruana with 6.5, So, Giri, Ding and Eljanov with 5.5, then Wei and Mamedyarov with 5. Tomorrow is a rest day. Friday Carlsen plays Hou with white, and Caruana plays Mamedyarov with black. Winner of the GOTD TRIVIA is Dlegvold -- Congratulations! The dramatic game Carlsen vs. Hou probably decided the tournament. The Chinese young lady played a great game, extremely balanced, driving the Norwegian chess genius into a drawn pawn ending. Carlsen tried hard, as he usually does, to win the equal ending, but Hou defended well, and it really looked they were going to agree on the draw pretty soon. But Yifan missed a little pawn move (a5) which would have totally frozen the game, with no way to win for the World Champion. This horrible mistake allowed Magnus to penetrate the enemy lines, and win the war in few moves. In Tomashevsky-Ding, the professor seemed to have an edge for most of the game, entering the complicated endgame a pawn up. But Ding fought back fiercely, and got back his pawn. At that point, with the game looking more or less equal, Tomashevsky blundered horribly with 53.Qe5?, immediately followed by ding's 53 ...Rb1! which wins a whole piece. Another game that deserves mention is the amazing draw played between Van Wely and Navara. Navara played a sharp game forcing Loek o the defensive. Van Wely castled a bit early to find himself in trouble, with navara attacking in force. Loek found a very ingenious solution to find initiative and counter-play , sacrificing his Queen, and playing the endgame with three minor pieces vs. Queen and Rook. Wit brilliant play, Van Wely was able to present Navara with several problems, until the Czech talent decided to settle down for a draw by repetition. A very hard-fought and entertaining game. With two rounds to go, Magnus is again solo with a full point of advantage over Caruana. Ding follows in clear third, half a point behind Fabiano. Giri, So and Eljanov share 4th-6th two points behind the leader. Tomorrow the penultimate round, with Carlsen playing black vs. So, Caruana white vs. Van Wely and Ding white vs. Eljanov. Winner of the GOTD TRIVIA is lapponia -- Congratulations! Caruana and Ding won their games, respectively with Van Wely and Eljanov, to keep the tournament interesting until the very last round. Magnus drew with the American GM Wesley So, and now Caruana is again only half a point behind the World Champion. Ding, in theory, can catch Magnus at the top, should he win tomorrow the direct encounter. It won't be easy, as Carlsen has white, but pressure can always be tricky, even for the great ones. Ding is having a very good event, and his play shows he can be worrisome even for the Norwegian who comes from Mars. Caruana would need a win to catch Magnus - if Magnus draws vs. Ding - playing Tomashevsky. the professor is not having a good event, but he's a great player and if he can find himself somewhere, it won't be an easy task for the American with an Italian name. Lots of "ifs" here. It's all hypotheses, of course. But what else can we do? Magnus led the tournament most of the time, and it seems be very likely he's going to win another great event. But it's chess, and anything can happen. Behind the three players who can still win the event, the young super-strong duo Giri and So, then with 50% Wei, Mamedyarov and Eljanov. Tomorrow last round starts at 6AM EST - 12:00 CET. Meanwhile in Gibraltar, after 5 rounds Bacrot, Ragger, Harikrishna and Gupta lead with 4.5 points, followed by Nakamura, Vachier-Lagrave and a plethora of strong GMs at 4.0. Five rounds to go in Gibraltar, so the final result is very "open". Winner of the GOTD TRIVIA is pandit22 -- Congratulations! Winner of the GOTD TRIVIA is smeagol -- Congratulations! Winner of the GOTD TRIVIA contest for Round 13 is Frankygolucky -- Congratulations! The World Champion had a difficult start in 2015, but managed to save the year with a final rush at his usual level, by winning the London Chess Classic and the super-strong Qatar Masters Open. Long events (the Tata Steel is a 13 rounder) seems to help Magnus, who is once again the #1 favorite. The American super GM with an Italian name had been able to climb the ladder getting into the 2800 olympus, but then his play has somewhat stalled, and now he's number 5 in the world. Caruana is very solid, and for sure he will be a contender for the title this year. 21 years old and number 3 in the world, behind the untouchable World Champion and a rather inactive Vladimir Kramnik. 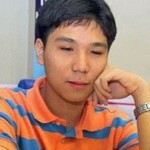 Many chess experts look at this young man as the most likely to be the next World Champion's challenger. A good occasion for the young Hollander to show once again his intentions. 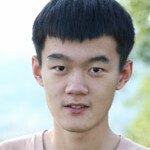 Liren is the first of the Chinese armada, with his #12 in the FIDE list. He's been in the top 10 recently, and his talent could allow him to climb up again in Week aan Zee. Wesley has not had an easy year in 2015, with the infamous episode at the US Championship, family problems, and the quest for a stability that would give him some peace and more time to concentrate on his game. Yet, he's up there, with a monster rating and #10 in the FEDE list. He's for sure another of those who can look at this tournament with hope. The Russian talent has been a bit of a black box in recent years, after his exploit as a prodigy. 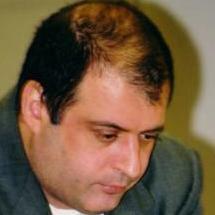 But this year he achieved a great success by winning the World Cup hence getting a seat at the Candidates' tournament. 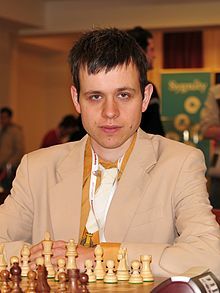 He's now 25, which is the peak age for the vast majority of chess players. He's able to play brilliant games, and with this field, it'll be interesting to see how he does. Pavel, with his 32 years of age, looks like a veteran among these kids. This year has been a very good one for Eljanov. He missed by a very narrow margin the win at the World Cup - losing to Karjakin in the final tiebreaks - playing inspired chess. It's time for Pavel to confirm his great strenght, in an elite tournament such as Tata Steel. "Mame" or "Shack", as he's friendly called in the curcuit, is a brilliant player, who has been dwelling in the top 10 for a long time. Recently he played some brilliant games at the Qatar Masters Open, and only a catastrophic loss against Carlsen didn't allow him to finish in a better position. Mamedyarov is able to beat anyone when he's in good form. His games are challenging and always interesting to watch. Evgeny is the "second" Russian to participate in Tata Steel this year. He's a fantastric attacking player, who has been featured many times in Larry Christiansen's weekly ICC show "Attack with LarryC!". Evgeny is known for his uncomprimising style, and it's always a pleasure to know that we will be able to watch his games, especially with such a strong field. The English GM had a convinging performance in London, at the end of last year, where he finished the super-strong third leg of the Grand Chess Toru unbeaten. He shared 5-7 with Caruana and Grischuk. Adams is a super-solid player these days, and it'll be hard for everyone to beat him. 30-year-old David Navara has been there in the top 30 for a long time, with some ups and downs in his chess career. 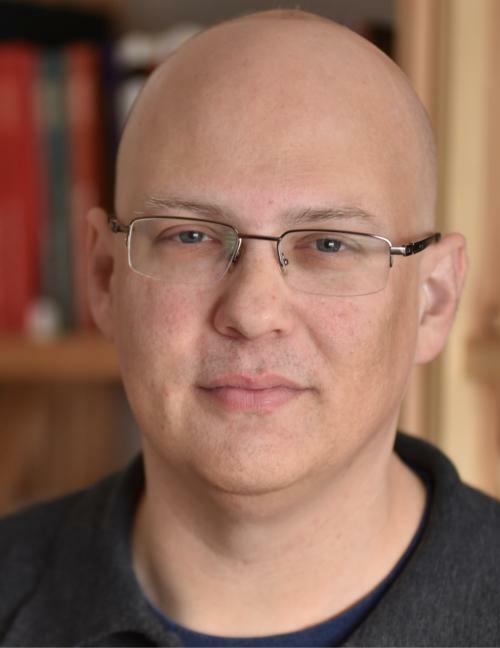 He's played some astounding games this year, which have made it in Joel Benjamin's show "Game Of the Week", for the fantasy and courage expressed over the board. David, when in good mood/form, can be a tough opponent for any of the other players in the field. All the adjectives have been used to describe this 16-year-old boy. He has already broken some records and, before getting a sudden halt at the Qatar Masters Open, where he had a rather disappointing result, he was sailing up and up, appearing more or less unstoppable. The Qatar Masters - in our opinion - was a good lesson for this incredible young man. He needs to gather himself together, maybe stop thinking he will be Magnus' challenger in the next years, and just play as he knows. His potential is immense, and everyone in the chess world expects great things from him. Now he's got a chance to play the elite, and well... wel'll see. Hou doesn't need introduction. She's the strongest female player after Judit Polgar retired. Hou is the third Chinese GM to participate in Tata Steel this year, making China the most represented country in the event. She's able to play at top level, and has a lot of male colleagues' scalps in her shelf. Loek is the veteran of the tournament, with his 43 years of age. He's been traditionally invited to play in the Wjik aan Zee tournaments, as local hero. Loek has been a great chess player in his prime, and he's still able to produce good games, although he's not been playing in elite events as of late.